Strolling along the River Douro on a balmy September evening one could almost inhale the feeling of Porto, Portugal. The royal blue sky framed the darkened slopes that met at the water’s edge. The star of the scene was the silhouette of the Dom Luis Bridge with its sparkling lights glimmering off the midnight blue water. This moment in time could not have gotten any better. Then it did. Because the real star, or satellite, of the show made its dramatic entrance. The gleaming full moon in all its lunar glory rose over the architecture and illuminated the landscape below. One could not helped being enthralled by the magnificence of the heavens as man has been since the beginning of time. 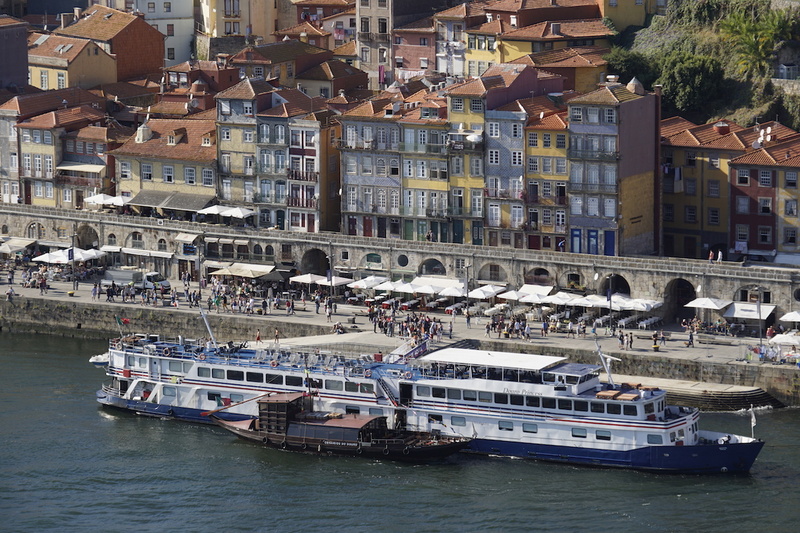 This is the image of Porto that I have perched so elegantly on the banks of the Douro. The evening began as stellar as it had ended. We started out on a dinner quest by hailing a river taxi to the opposite bank in the Afurada neighborhood that just oozed Portguese authenticity. Children played in the streets while the old people watched from the sidewalks and friends called out greetings to each other making for a vibrant street life. We found our restaurant destination the Casa do FC Porto na Afurada that came highly recommended by our host. The eatery is a local’s spot and known for serving up some of the best grilled fish and it’s also the choice for the avid soccer club fans of FC Porto. And do these fans eat well. 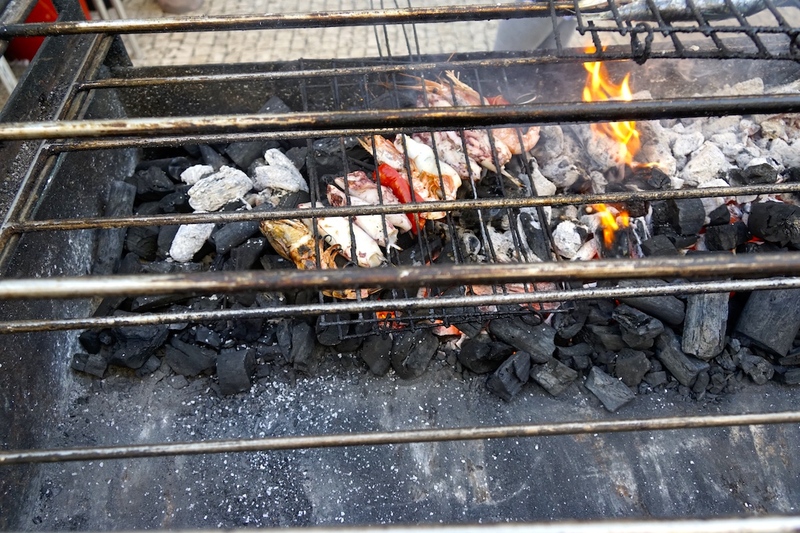 The fresh seafood was prepared on the barbecue right in front of the restaurant and the combination of the old Porto vibe and succulent food made for a most memorable meal. The influence that the Catholic church had and still does is quite apparent throughout the city. Within the historic center the must see sights abound such as the the Sào Francisco Church (1383) with its striking Gothic architecture and its dramatic Baroque interior. Other religious sites we took in were the soaring 75 meter Clèrigos Tower that’s hard to miss on the skyline. And situated on the opposite bank in Gaia perches the 16th century Mosteiro da Serra do Pilar whose church and cloisters display a circular columned design that is unique in Portugal. We also took a tour which offered us insight not only into the monastery as a religious institution but to its defensive importance due to its geographic situation that was and still is used by the military. The nature of the city is expressed in its humble fishing and working boats that possess great character despite their peeling paint and are moored by frayed lines strewn with brown kelp along the river estuary. The worn watercraft lean beached among the algae rocks and lobster cages when the tidal action lays bare the debris from the working harbor. And the pungent air reeks of decaying fish and the natural smells of the ocean. Birds of all kinds forage in the shallow waters where it flows out to the Atlantic Ocean . The aging fleet is as colorful as the people who work at the water’s edge whose lives revolve around the harvesting of the oceans bounty and the transportation of the all important Port wine. 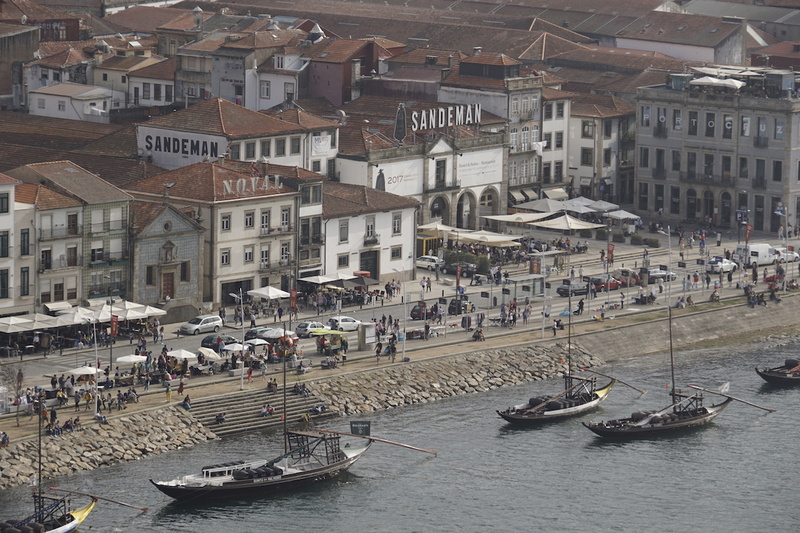 The most recognizable of the watercraft is the traditional Portuguese wooden Rabelo boat. This elegant yet durable boat was used for centuries to transport people and goods along the Duoro River. 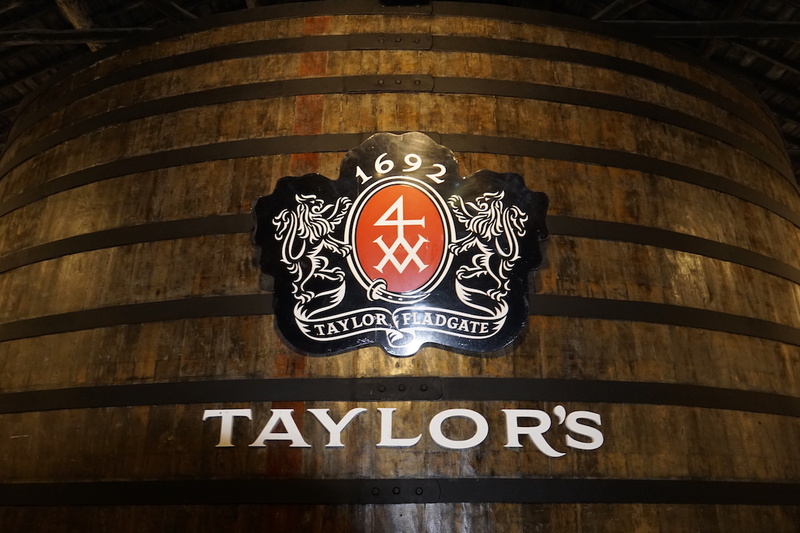 But by far its most precious cargo was the product of what this city was named for its delicious Port wine.